This is my first BirchBox or Subscription Box ever so I am super excited to be doing my first post on one! 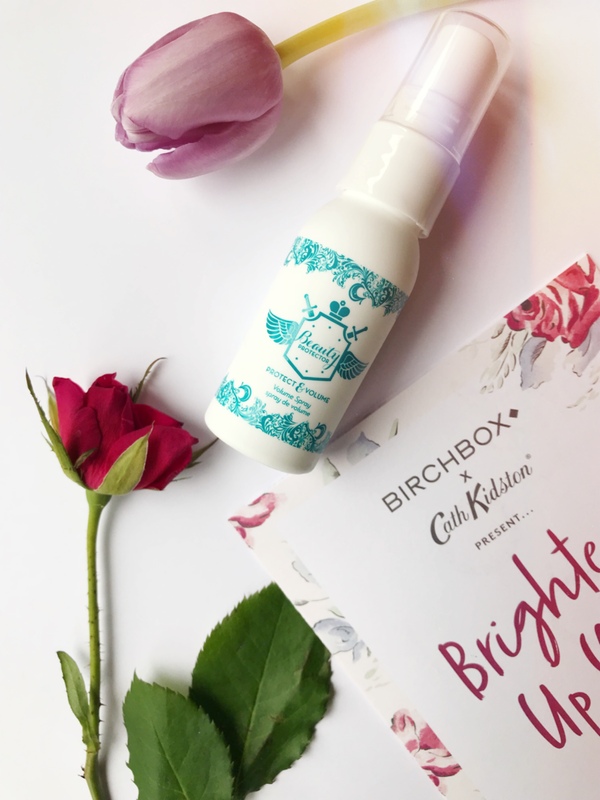 BirchBox decided to team up with Cath Kidston this month to celebrate their 25th Birthday, which I think is a fab idea! As soon as I opened the box I knew it was Cath Kidston from their iconic floral pattern. In this post I am going to be going through the five products that I received in the box and my opinions on them. 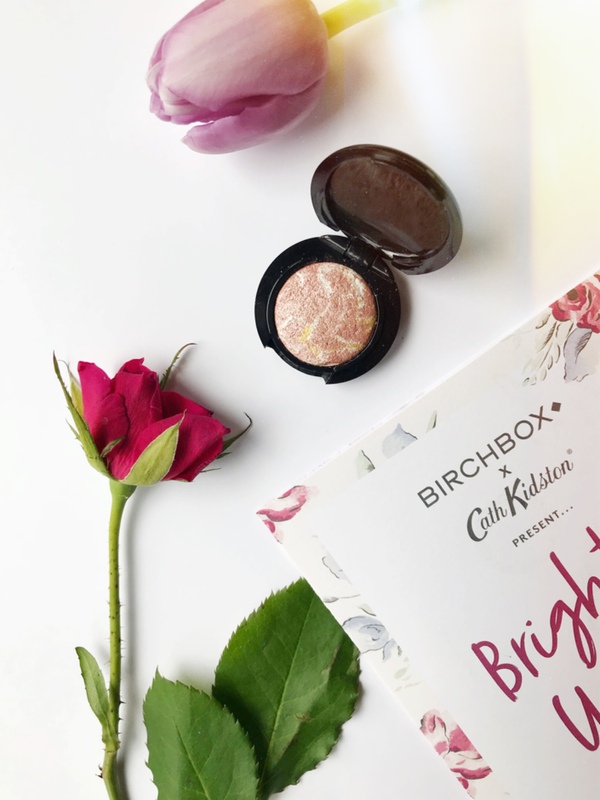 This is a BirchBox exclusive, it is really pigmented and a lovely pinky gold tone to it. I think this would look lovely for many skin tones. When used with a fluffy brush it works great and is definitely worth buying in full size. Well who doesn’t love a nice floral hand cream. This is the perfect size to fit into your handbag. The hand cream has amazing moisture, and is really hydrating. I love the packaging also it is so cute, and matched the print on the box. The little tube contains 30ml of the product. The smell is also gorgeous and I will definitely be using this day to day. I am a sucker for not putting protector on my hair as I alway’s forget when I am in a rush. It is sweet smelling and has a lovely fragrance to it. 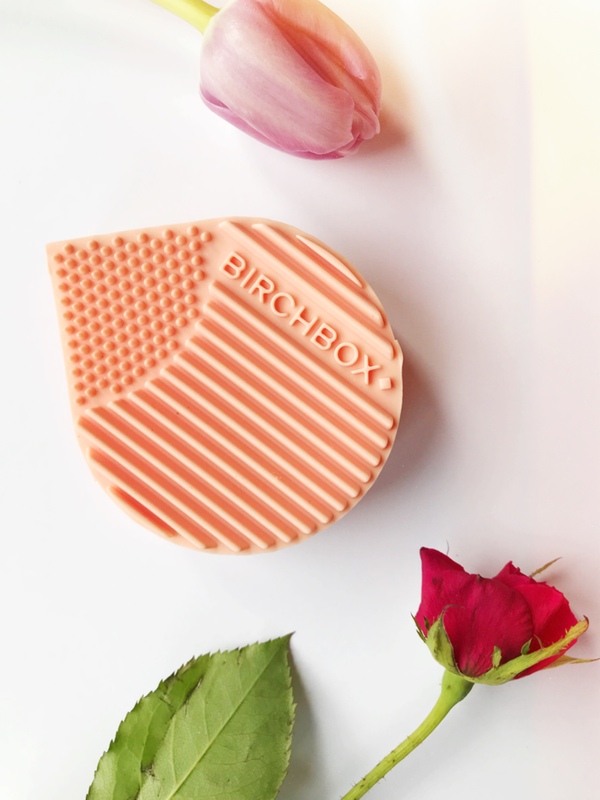 It does not leave a sticky feeling in your hair either which makes it nice and easy to use, although the full size product is a little more on the pricey side, BirchBox have generously put a miniature sized one in this month. I alway’s think it nice to have a protectant spray with all the heat we put through our hair on a daily basis. This is something I definitely need to cut down on, but I feel more confident when having a spray alongside me. This is perfect for me! When I clean my makeup brushes I use the palm of my hand ending up in me having a thick hand of foundation and product…ew! Now that I have this brush cleaner it will be so much easier to use this and the grooves in it to remove all the product on the brushes but gently. These are the five products that were in the April BirchBox, and I am so pleased with my first experience of one. I think there is a great range of products and all of them would be suited for many people. As I am a student I only paid £7 for my first BirchBox, so for me this month was even more of a steal! I will definitely stay subscribed to this as they have good quality products, all of which I have not tried before. I love the design of this box & all of the products look great!